It’s been just over a week since I took loan of a Palm Pre, a device that bears the weight of Palm’s future success on its shoulders. Or so the story goes. And it’s far too good a story for most pundits not to have written, me included. The truth, of course, is a little less dramatic but significant nonetheless. While the Palm Pre is undoubtedly the company’s comeback device, the big bet is the accompanying webOS that powers the Pre along with the subsequently released Palm Pixi. In fact since the second device running webOS was unveiled, Palm have announced that, moving forward, they’re dumping Windows Mobile to pursue a single OS strategy. 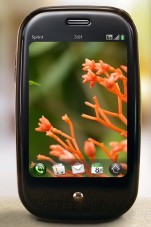 Thanks Redmond for easing the transition away from the dying PalmOS to the newly born webOS. But make no mistake, that’s all you were good for. It’s in this context that when reviewing the Palm Pre it’s more tempting than usual to consider the phone’s hardware as separate from the operating system it runs on. So that’s exactly what I’m going to do. Click over to Mobile Industry Review to read the full post, and if you have any further questions, leave a comment here or on MIR and I’ll try to answer them before I return the device. I finally have a Palm Pre in my hands. Well not literally as it would be kind of difficult to type this post, unless I did it on the phone of course, which I’m not. Have you tried the keyboard? It’s pretty good but it’s not that good. But a working UK GSM version of the Pre is sat next to me and I have the device on loan for the next 10 days or so. Remember, I’ve been chasing down the Pre for almost nine months, ever since it was first announced at January’s CES. So this feels like a big deal (the device went on sale today here in the UK, exclusively on O2). And, frankly, I’m not used to waiting this side of the pond while my US brethren get to fondle a phone first. Anyway, back to the Pre. I’ve written up my Day One impressions of the UK version of the Palm Pre, along with a tongue-in-cheek description of the PR back-story, in my debut column — working title: Gadgets and canapés — for Ewan MacLeod’s Mobile Industry Review (MIR). I hope to make a regular contribution to MIR and I’ll definitely be revisiting the Pre after a full week in. Here’s a quote from the piece where I talk about the Pre’s Google and Facebook integration. After entering my Google credentials into the Pre, the phone’s email client sprang to life, as did calendar and contacts. 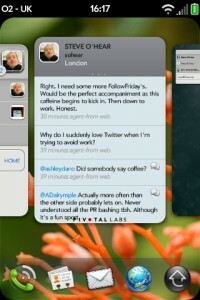 In some ways the webOS-powered Pre is the Google phone I was always hoped Android would be. Google integration is on a par with stock Android but has a far superior UI. The Pre’s calendar is one example, with multi-calendar support and a nifty accordion metaphor to utilise screen real estate when part of the day is empty. Importing Facebook contacts, avatars included, also worked as expected, and merging any duplicate contacts between Google and Facebook, for the most part, happened automatically. Manually linking contacts that Synergy had missed was also trivial. Palm to developers: "We love you man"
Despite the scarcity of third-party offerings available in Palm’s webOS app store so far, I’m remain bullish regarding the smartphone maker’s ability to attract developers to its platform. Although I’ve said right from the start that doing so will play a major part in making or breaking the company’s second coming. Today, Palm made a number of announcements after listening to feedback from the community, the biggest of which is that developers will be able to ‘self-sign’ their apps and distribute them via the Web, and in doing so, bypass any formal approval process. It’s not a complete free-for-all unlike what is possible on the Google-led Android as Palm will still own and issue the URL used for web distribution but the lack of an approval process, if developers choose to go this way, will enable more traditional online marketing techniques for third-party apps and speed up beta testing, something that is the bane of iPhone developers. I’m finding it increasingly hard to comment on the Palm Pre and supporting WebOS, since I’ve yet to get my hands on the company’s ‘second coming‘ smartphone. The device is due to launch here in the UK exclusively on carrier 02 (strangely sharing the limelight with Apple’s iPhone) sometime in Q4. Nonetheless, news comes today that Palm is to begin accepting applications from developers who want to charge for their Palm Pre WebOS apps, with the pending launch of the company’s Palm App Catalog e-commerce beta program in mid-September. Attracting developers to Palm’s new platform will be key to the Pre’s success and future handsets released by the company running on its shiny new WebOS. On that note, on par with Apple and Google (Android), developers who charge for their apps will get the better part of a 70/30 split with Palm. More information about the developer program can be found here. 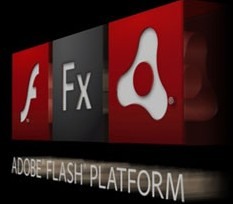 It seems that Adobe is well on track to deliver a version of Flash 10 for smartphones, with the first beta release due this October. Adobe President and CEO Shantanu Naraye said as much during the company’s latest earnings call, as well as revealing that “multiple partners have already received early versions of this release…”. At the Web 2.0 Expo in San Francisco this week, Palm announced that third-party developers can now apply for access to the company’s “Mojo” Software Development Kit (SDK) for the upcoming Palm Pre and webOS. Not all developers will be let in at first however – word on the street is that priority will be given to apps that take advantage of the hooks provided by webOS into the Pre’s address book, GPS and calendar – but as the SDK becomes more robust and Palm is able to scale support, access will be made more widely available. Meanwhile, five hundred odd miles away in Las Vegas at CTIA 2009, Palm was busy demoing a number of third-party apps from developers who’ve been given extra early access, including Fandango, Pandora, Nascar and Sprint. The Fandango and Pandora apps are particularly impressive (see video below courtesy of CrunchGear), and are a good example of how Palm hopes to compete with the likes of iPhone, BlackBerry, Nokia and Android. It’s a quiet day today on the news front after the flurry of announcements that came out of Mobile World Congress (MWC). And although I already highlighted five new handsets that caught my eye, none captured my imagination quite as much as the Palm Pre and accompanying webOS that was unveiled last month. Who has the most to fear from Palm's "New-ness"? Pandora CTO Tom Conrad put it best: “I can’t think of much that’s harder in the world than building a modern, mobile operating system and integrating it with a fantastic piece of hardware”, he tells Palm Info Center. Not only has his company ported its music streaming and discovery service to over 40 different handsets, “everything from J2ME and Windows Mobile to the iPhone”, but Pandora was also chosen by Palm to get an early hands-on peak at the webOS and Pre and begin bringing their app over to the company’s new platform. At the same time, Conrad rightfully reminds us that Palm is still very much the underdog. Of course, underdogs should rarely be underestimated. On that note, who should have the most to fear from Palm’s “New-ness”? I didn’t get around to posting yesterday because, in all honesty, I spent most of the day scouring YouTube and various blogs for video coverage of the Consumer Electronics Show. 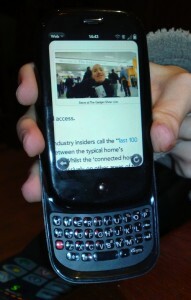 In particular, I was keen to take in as many hands-on demos of the new Palm Pre and the accompanying webOS. See also: Have we just witnessed the second coming of Palm? Check out IntoMobile’s “hands-on” video after the jump (note: it’s a little grumpy and rushed on Palm’s part)… and you can also watch the complete Palm press event here. Have we just witnessed the second coming of Palm? Ex-Engadget editor Ryan Block put it best when he said that Palm’s much anticipated CES announcement “will either mark the beginning of the company’s second coming — or the beginning of the end.” Thankfully, for those like me who were rooting for Palm, it looks very much like the former. Today the company unveiled its brand new Palm operating system (dubbed the webOS) running on a new smartphone called the “Palm Pre” that features a 3.1-inch multi-touch screen and slide out portrait keyboard.